THE WRITING BUDDHA - Opinions | Books | Movies: And.. They Fell in Love! by Vikas Singal (e-Book Review)!!! And.. They Fell in Love! by Vikas Singal (e-Book Review)!!! I have never tried reading an e-book still as I find it hard to get along this new technology through which you can not feel the essence of the book but yet, the story is being told. As a reader, one explores any channel through which one can get to read something that he likes. I have not been a great fan of anthologies as I find them quite boring after a time. The only recent anthology that found me interested was Amit Shankar's Cafe Latte. I got to know about this new e-book "And.. 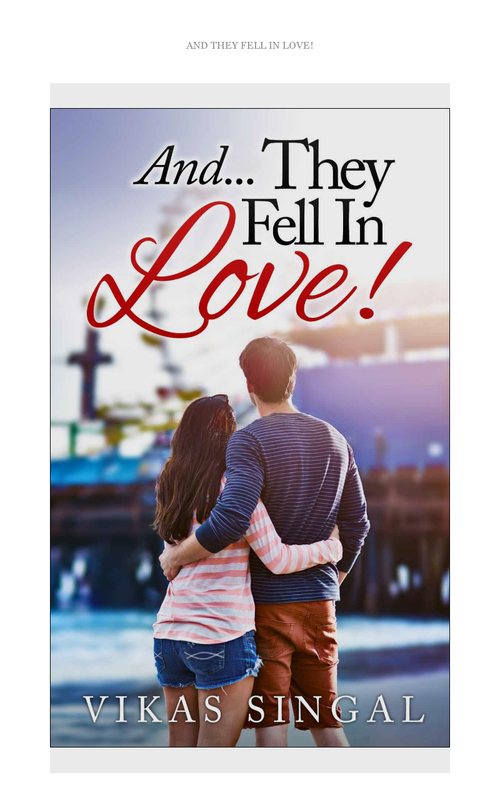 They Fell in Love" which comprises of three short stories written by the author, Vikas Singal. The book was available for free download for a day on Amazon which led me towards it. I finished this small and sweet e-book in 30 minutes. Considering the cover page and book title, I thought it is going to be another boring romantic attempt by an author who is trying his luck in this world but after reading all the three stories, I can say that this is one of the sober, sweet and nice work I have read in this genre by an Indian. Also, idea of publishing these stories as an e-book is a work of genius because the growing segment of published anthologies is only causing damage to the authors contributing in it. No one is ready to buy those books more than 500 copies. But an e-book is going to be considered if kept at comfortable pricing keeping the target readers in mind. The first story named Mr. Right is an amazing start to the book. A very sweet tale of how a girl and a boy meets for the first time for the purpose of marriage. The nervousness between both the protagonists while conversing with each other is wonderfully depicted. You smile throughout the story because of the innocence and sweetness in each and every sentence. The second story names Tanya basically narrates how a girl is been molested by a man and later on saved by a boy who starts adoring her. Their conversation happens and it is also ended happily. A very nice approach to the stories with which writers would have generally played and ended up it with a tragic or horrifying situation. The last story "The Capri Girl" is different from the first two stories as it is based on a train journey. Some notorious while some obvious situations makes it again a wonderful read. I found it at par with the first story. 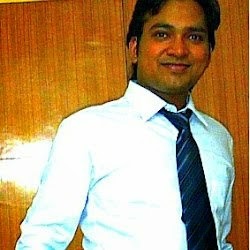 Vikas has surely woven his characters wonderfully after observing few couples or feelings of newly engaged partners. It can be easily noticed from the way stories are narrated. There are few drawbacks that I would like to mention:- Author has kept his stories too short. It's almost equal to a small blog post. I would have loved if each of his story would have been of 5000-words each. He has not been able to present his capability of story telling in the few words that he has chosen to publish. Also it would be a nice challenge for him to see if he can work successfully on little longer stories. As the stories are simple, I missed a sort of drama, masala, romantic conversations, twists, turns, emotions etc which are must in a love story. Summarily, I would say, for Vikas Singal, simplicity is the key of story-telling.